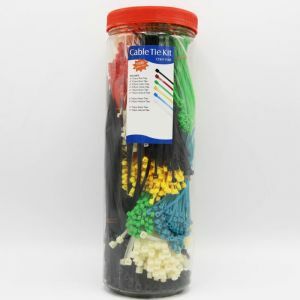 Select Length 6" 8" 8" MIX 11" 14"
Home Heat Shrink Tubing Cable Ties Braided Sleeving Bentley Harris Label and Heat Shrink Printers Heat Shrink Cutters Plastic Tubing Heat Guns and Tools Floor Cord and Cable Covers Power & Data Distribution Audio/Video/Network Cables & accessories Site Map Shipping and Ordering Policies Frequently Asked Questions Google Plus Google Plus (+1) Facebook Heat Shrink Tubing Protective Sleeving Wire Ties Printers and Label Makers Intermediate 40 LB Cable Ties Cable Plenum TIE Specialty Zip Ties and Accessories ***Bulk Cable Tie Pricing*** Intermediate (40 pound strength) Nylon 6,6 Cable Ties BlackNaturalBrownRedOrangeYellowGreenDark BluePurpleGrayLight BlueFluor OrangeFL YellowFL PinkFL Green Our wide selection of intermediate cable ties offers ideal solutions for a range of medium-duty cable and wire bundling and wire organization (not to exceed 40 pounds of bundling force). 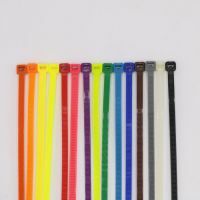 These highly reliable and durable intermediate cable ties are available in a wide variety of colors, including fluorescents for quick and easy wire identification and color coding. 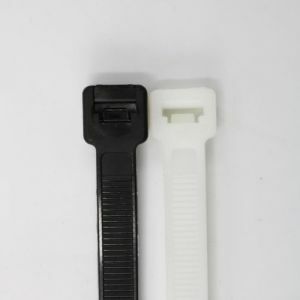 These intermediate cable ties are stretchable and wear resistant, and are made with the finest Nylon 6.6 material. 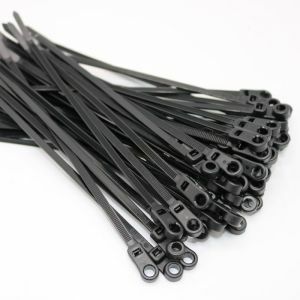 These intermediate cable ties are also 0.14” wide and come in a variety of different sizes including 6, 8, 11 or 14 inches to help complete your desired job. 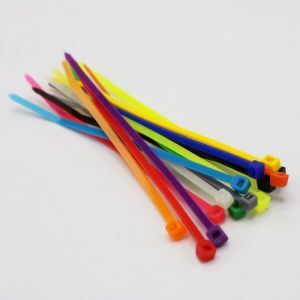 To use these intermediate cable ties, simply wrap and tension the zip tie, then cut of any excess tail desired in just seconds. 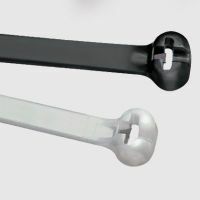 The first option of 6” intermediate cable ties provides a maximum bundle diameter of 1.4” and can be purchased in bags of either 100 or 1000. Any of the available 15 colors, which include fluorescent, can be ordered. 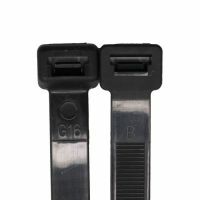 The 8” intermediate cable ties provide a maximum bundle diameter of 2.4” and can be purchased in bags of either 100 or 1000. Any of the available 15 colors can be ordered. 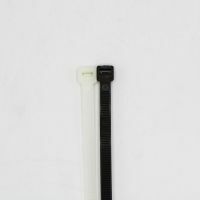 The 11” intermediate cable ties provide a maximum bundle diameter of 3.0” and can be purchased in bags of either 100 or 1000. 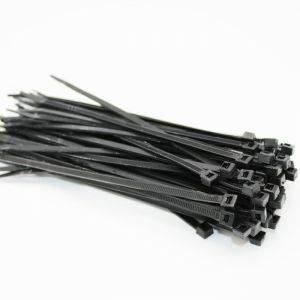 These 11” cable ties are only available in black or natural color. 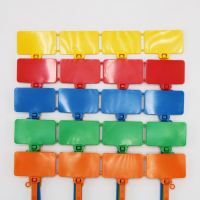 The 14” intermediate cable ties provide a maximum bundle diameter of 4.0” and can be purchased in bags of either 100 or 1000. 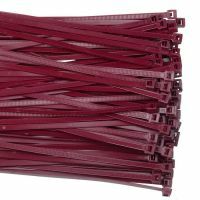 These 14” cable ties are only available in black or natural color. 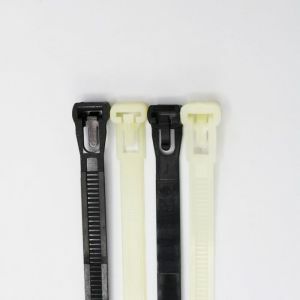 Remember that the black intermediate cable ties are weather resistant and UV stabilized making them useful in extended sunlight expose.